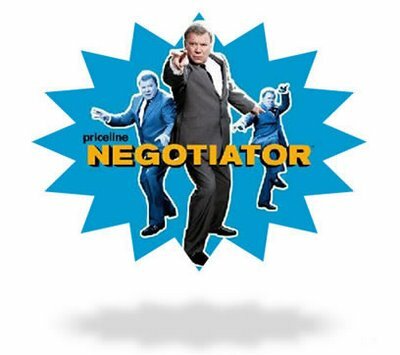 Genesis 18 part 2: The Negotiator! I hope you enjoyed the guest post from Andrea. I had a blast studying it with her and it reenforced my thought that studying the Bible is better when you do it with other people. She saw all kinds of things that I missed and had some great insights. Seriously, I can’t wait to marry that girl. Genesis 18 was a little tricky since it was two stories that were VERY different. Each one deserved its own post. Yesterday was about God coming to Sarah with some great news. Today is about God coming to Abraham with some really bad news. The next time someone makes fun of you for talking to yourself, just tell them it’s ok because God does it too. That way they won’t think you’re crazy! He has this little debate with himself about whether or not to let Abraham in on his plan to destroy Sodom and Gomorrah. Why does God question the soundness of this idea? What is the danger of letting Abraham know? Whatever the reason, he decides that Abraham is on a “need-to-know” basis, and he needs to know. This is going to be an important moment and God wants to make sure Abraham understands what is going on. This begins (or does it continue?) the theme of God never dropping huge judgement bombs without letting people know beforehand. Classy. Apparently, someone has been crying out against Sodom and Gomorrah. Who was it? What were they crying out about? We aren’t told. But we know that God heard it. The last time there was an outcry was way back in Genesis 4. Abel’s blood was crying out to God from the ground. God is a God who hears cries for justice. I believe this theme will emerge again when I get to Exodus in about a month and a half. Here is one of the most fascinating interactions between a person and God in the whole Bible. God is going to destroy the cities. Abraham thinks that is not such a great idea. First he gets God to spare the city for the sake of fifty righteous people who might be living there. Then he talks God down to saving the city for the sake of ten. Not bad at all. I think Donald Trump would be proud. Well, at least THIS GUY would be proud. It is difficult to know what to do with this story. But I think it is clear that this is not an issue of Abraham just whining for something he wants. Abraham argues with God for God’s sake. He appeals to God’s sense of justice and doesn’t want God to do something that is unjust. Do we really know the God to whom we pray? Do we know what he is like? Do we appeal to his sense of justice, righteousness, love, mercy, and grace? Or do we just try to get him to do for us whatever we want? So I will close with a question: What can we learn about prayer and God from this story? This reminds me of when Moses talks to God about not destroying Israel and making Moses into a great nation instead. It’s really interesting (and well kind of obvious when I say it this way) how the two old testament guys who you could see as God’s closest or greatest followers, both display a taste for compassion instead of judgment. Austin! Good to “see” you! That is a great point about a taste for compassion. I hadn’t thought of that.